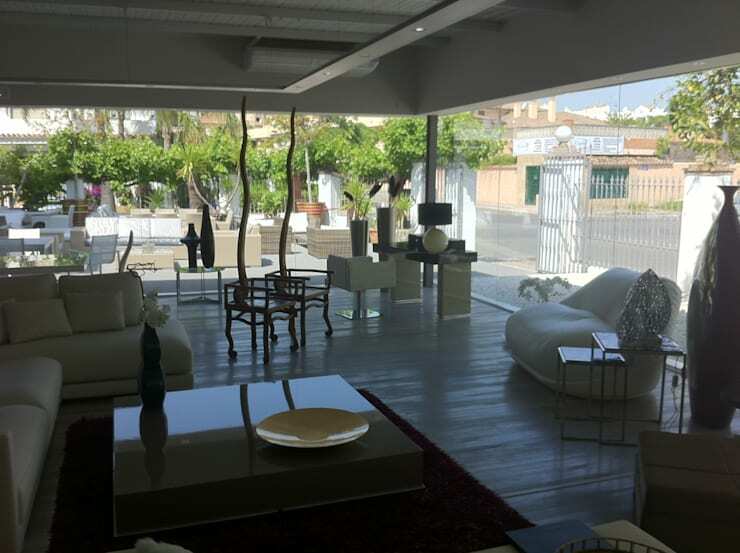 Today, we are going to visit Marbella in Spain where home building professionals Rudeco Construcciones have taken a run down space and converted it into a magnificent open plan home that is as functional as it is attractive. 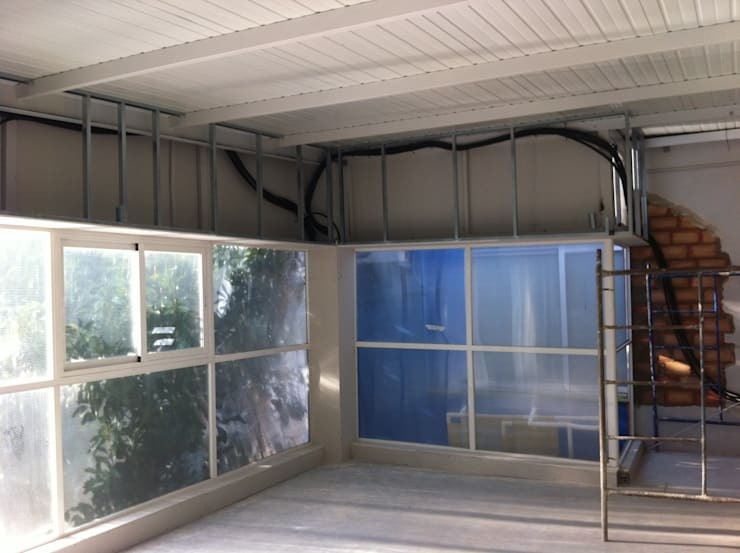 We will walk you through the ins and outs of the home during the construction phase and then reveal to you the final product—which will be a huge treat! Let's take you through the process step-by-step. If you're in the process of building your own home, this will also make you feel better about it. You'll see that with a little bit of patience, you'll end up with with a fabulous result! If we look at this image, we can see how the home was in an absolute state. There was rubble everywhere and just the bare bones of the structure existed. The garden is absolute chaos while the home itself is just a pure construction site. It's hard to imagine this looking like anything more than a disaster. In this image, we can see all of the intricate work that goes on behind the scenes when it comes to building a home. There are wires everywhere, while the ceiling hasn't been installed yet. The windows and doors are made from glass so we can start to get an idea of what the home will look like once the designers are finished. The home really was a construction site during the construction phase. 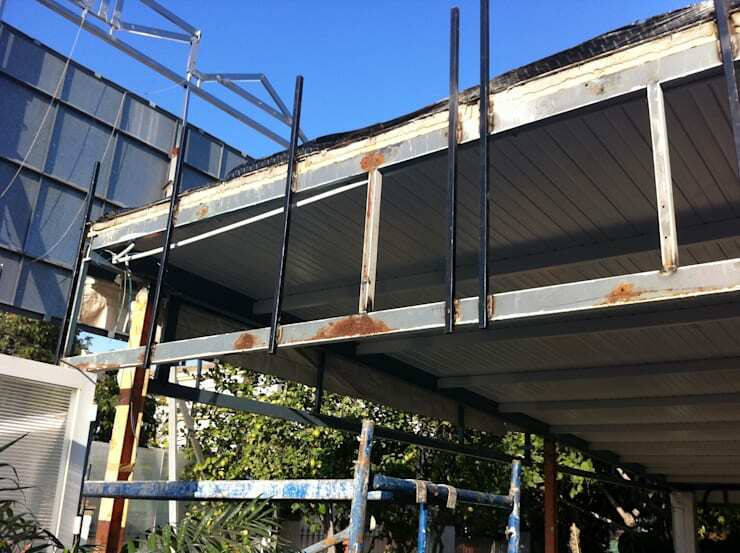 Rusty scaffolding is scattered around the structure of the house. 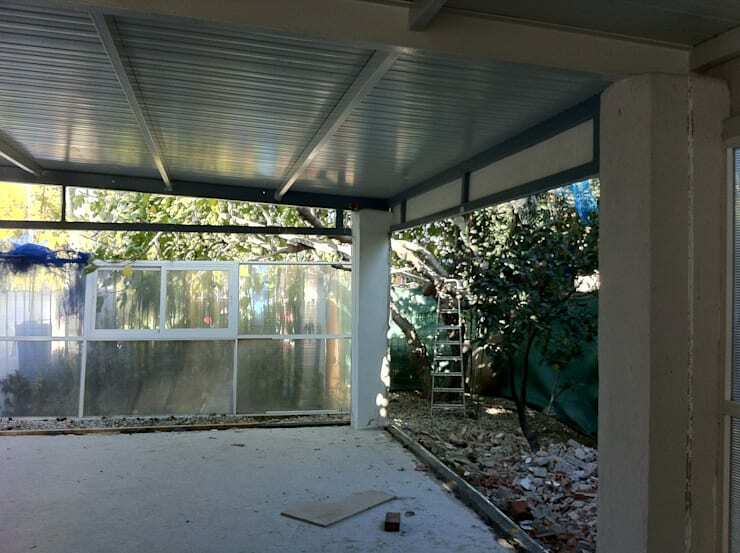 There is also no clear distinction yet between the interior and exterior spaces. The transformation is incredibly impressive. We are now faced with a modern living space, where each rooms flows into the next. In this space, we can see how the home seamlessly connects to the exterior space thanks to the large glass windows and doors. 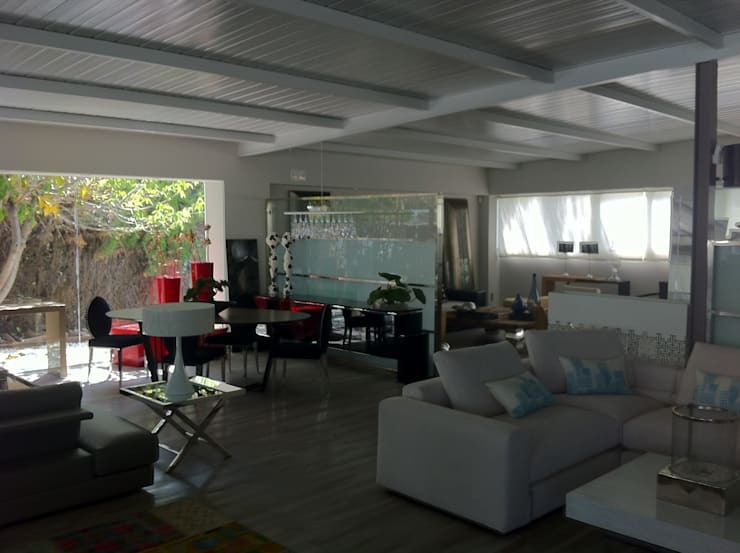 This visually expands the space, making it seem that much more spacious and expansive. The furniture that has been chosen for the home is trendy and stylish, bringing a very chic and impressive look and feel to the home. While the colours are neutral, the styles are sophisticated and eclectic. If we look at the living room and dining area, we can see how the designers have added a touch of red in the interior design. This is a wonderful way to add some character, vibrancy and charm to the environment. Go for a neutral colour palette and then add a splash of red, green or blue in the form of a piece of furniture, a cushion or even a window or door frame. While large glass and windows allow an abundance of light to flow into this home, sometimes there is a need for curtains or blinds or drapes. 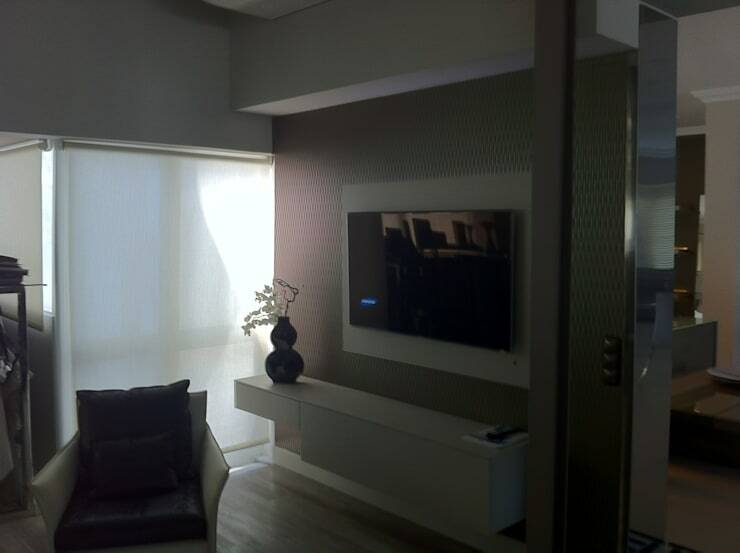 You may want a bit of privacy in the home or you may want to filter some of the sunshine, especially if you don't want the sun reflecting on the television while you enjoy an afternoon film! The sleek flat screen television adds a tech-savvy and modern touch to the home, while the vase of flowers brings a beautiful and natural form of decor to the home. This is a great design tip! 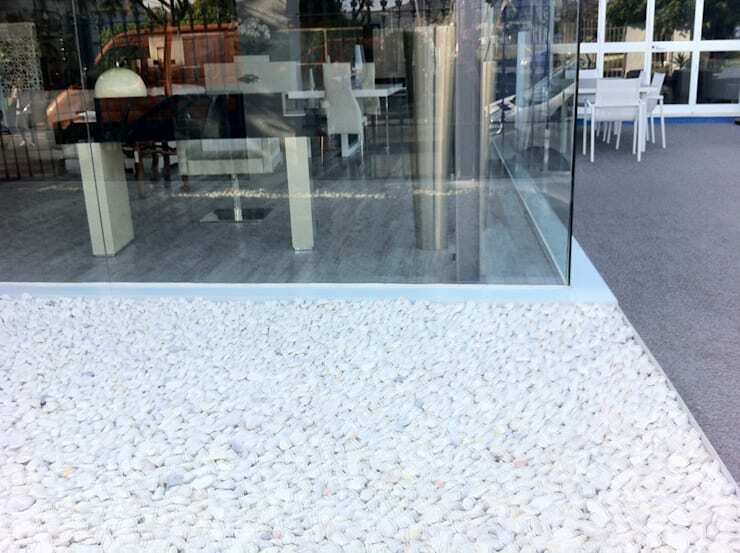 In this image, we can see how the glass that separates the interior and exterior spaces creates a very cutting-edge look and feel. There is also a stone pathway that surrounds the home, which leads to a gorgeous terrace space. Here the residents can enjoy some fresh air and sunshine. The durable terrace furniture creates a comfortable spot! If you like this ideabook, you'll love this one: Home renovations: what deserves to stay.